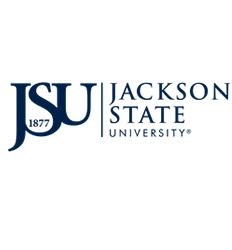 The JSU Career Services Center offers individual Career Counseling to assist with making career decisions. If you are trying to decide on a major, choosing a career, or making other career-related decisions make an appointment with someone in our office. Currently we offer the Typefocus assessment to assist students in choosing a major and career planning. Typefocus assesses personality type and generates customized reports, which helps the user people understand themselves better so they can choose more effective career strategies. After completion, the user has a set of five printable reports that form a holistic approach to self-awareness and career success. Click here for further information on registering with TypeFocus. Click here to access our Four Year Career Planning Tips for Undergraduates. Click here to access a comprehensive resource featuring 77 majors. Each major represented outlines career areas, typical employers and strategies designed to maximize career opportunities upon completion of a four-year degree. Also included are links to related websites where students continue their exploration of majors and career fields. Students may schedule appointments by phone or email. We are available between 8:00 am and 5:00 pm on a walk-in and appointment basis. If you have a quick question for a staff member, are looking for a resource or are just starting a resume or cover letter this is a great way to spend 5 to 10 minutes discussing your issue. Make an appointment if you hope to spend more than 5 to 10 minutes with a staff member. If you are trying to choose a major or career, need specific assistance with a resume, cover letter, or employment application you should make an appointment. Please call 601-979-2477 to set-up an appointment.